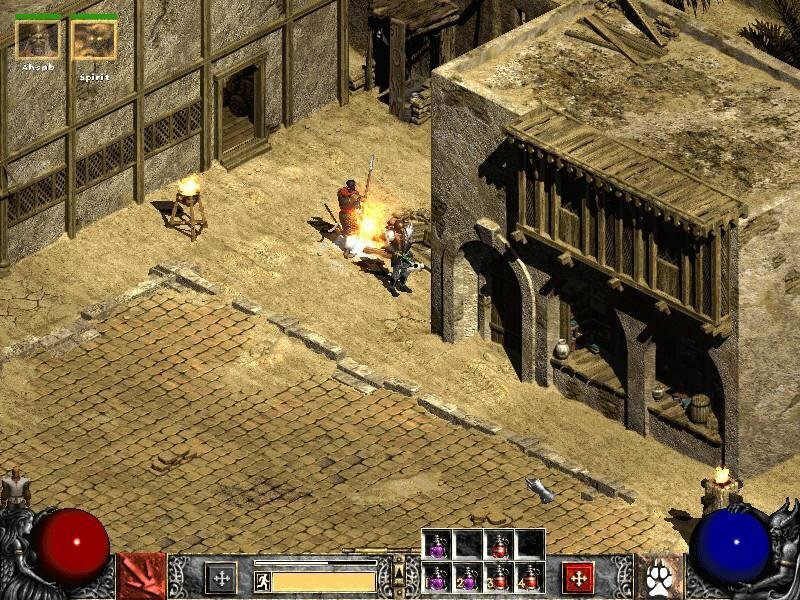 It was a long time ago, early 1997 to be more exact, when the town of Tristram fell and was subsequently cleansed in an epic isometric dungeon romp known as Diablo. 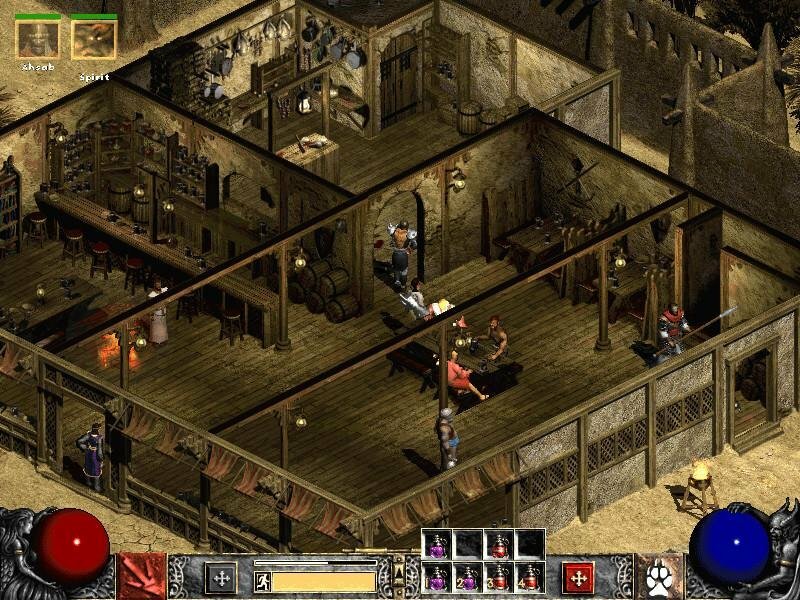 The clever guys at Blizzard created a game with a whole new feel, an action game that almost fooled you into thinking it was a role-playing adventure. 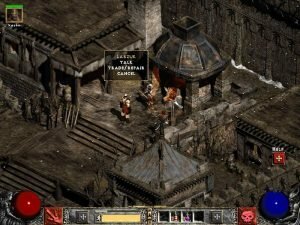 You need a fairly sturdy character to make it outside the new town in Act V.
The announcement of its sequel was all the rave, resulting in an almost unprecedented number of pre-orders. 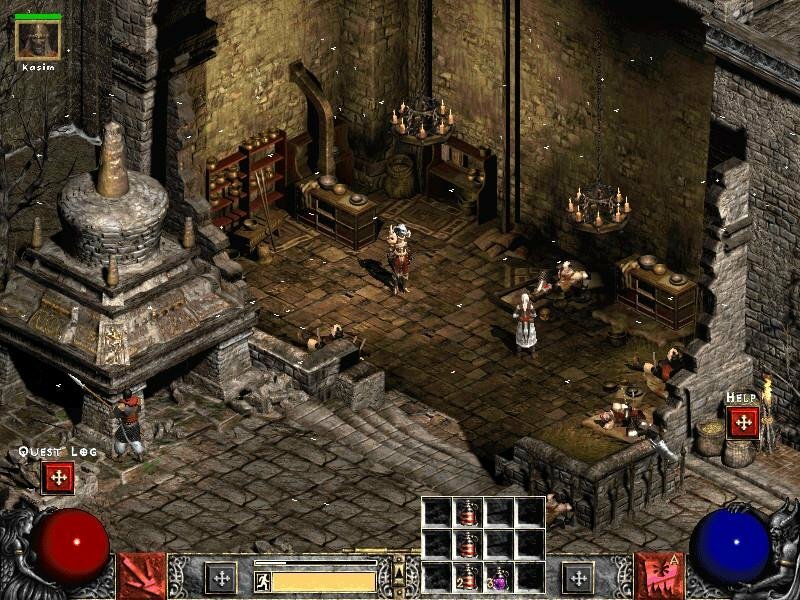 Finally, in June 2000, Diablo II erupted onto the shelves to enormous popularity. 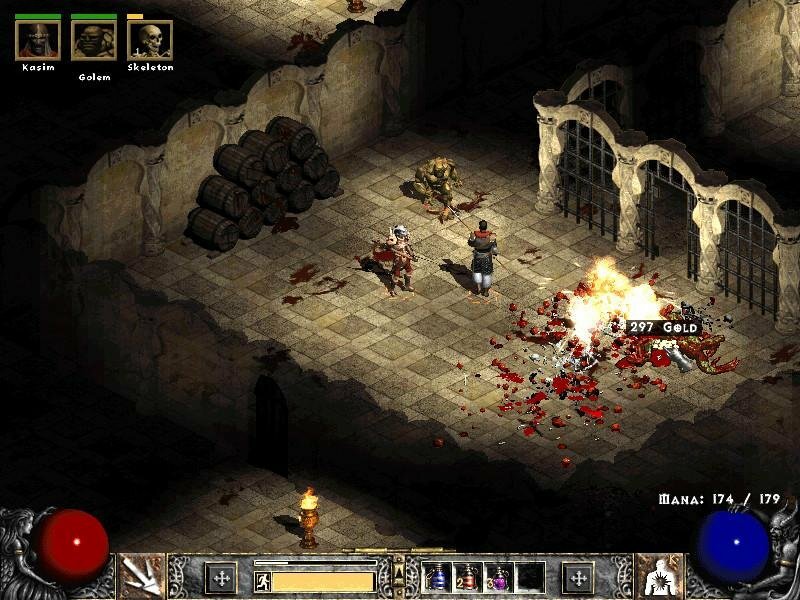 In Diablo II, Blizzard expanded their fantasy world into four new regions, each with numerous quests and friendly NPCs, each with a vast wilderness populated by scores of little demons. 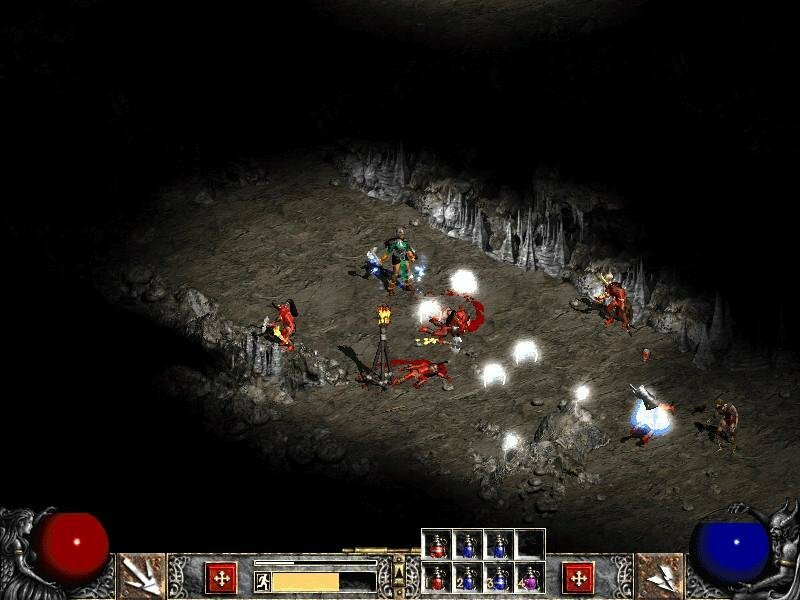 We ventured through these areas in which lurked Diablo’s Soulstone-mates – Mephisto, The Lord of Hatred, and Baal, The Lord of Destruction. We vanquished Mephisto and Diablo himself, but Baal, the last of the Prime Evils, remained unscathed. 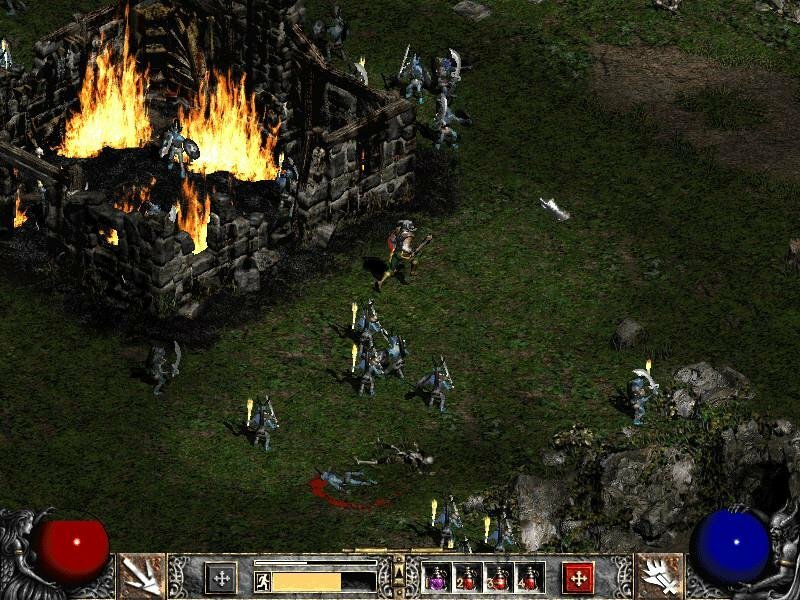 Lord of Destruction is but an expansion pack to Diablo II that offers the same type of hack-and-slash action. Or is it? 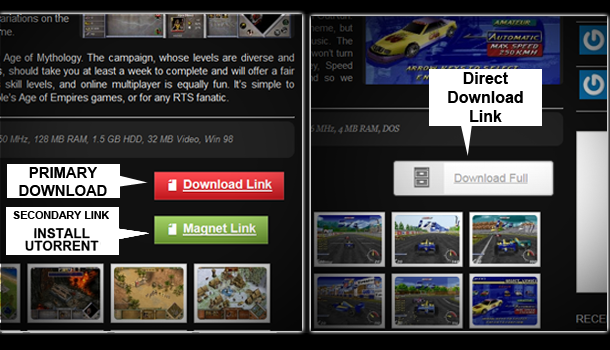 The disc version requires installation of the original game and invites you to either import your original characters, or to create new ones. Your characters must have completed Diablo II’s four acts before they may enter the new Act V, which begins in the city of Harrogath, located somewhere up in the frozen North. In addition to the ubiquitous Deckard Cain, last of the Horadrim, Harrogath has five more denizens that are more than willing to attend to all of your shopping, repair, hiring, and gambling needs. Conversation choices and dialogue are as sparse and limited as ever, but this game is not about gathering information from NPCs. In fact, if you’re progressing for the third or fourth time through the first four acts, you’ll probably not even stop to listen. 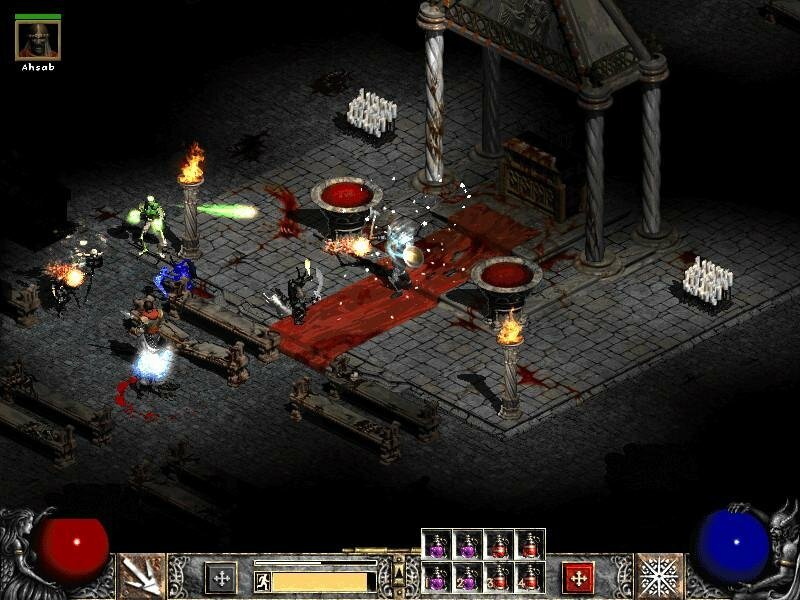 After the furor over the original Diablo waned, a lot of folks were surprised to see that Blizzard handed over the rights to do an add-on to its stellar title to Synergistic Software. 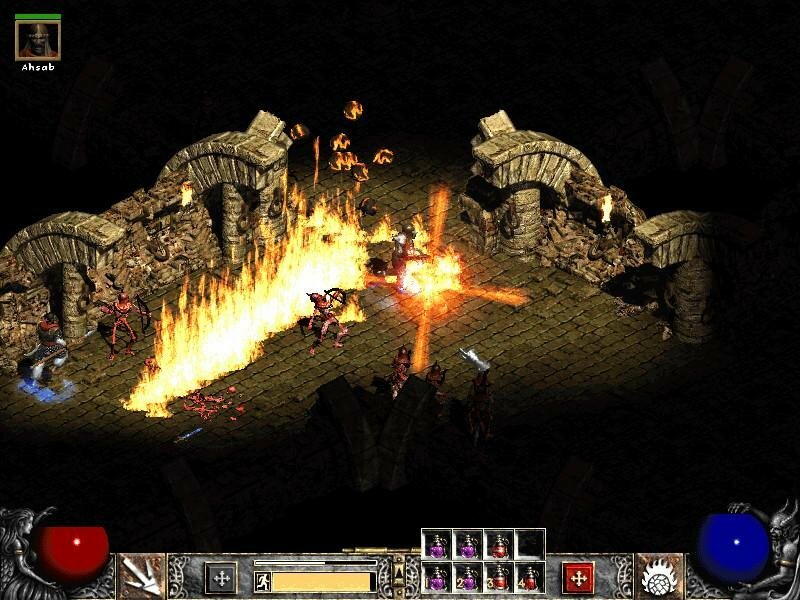 Hellfire proved to be a merely average expansion – single-player only, adding two new dungeon tilesets and monsters, as well as a few items, quests and one extra playable character. People almost immediately hacked it to add multiplayer support (but were not able to do so on Battle.net, Blizzard’s free Internet server). 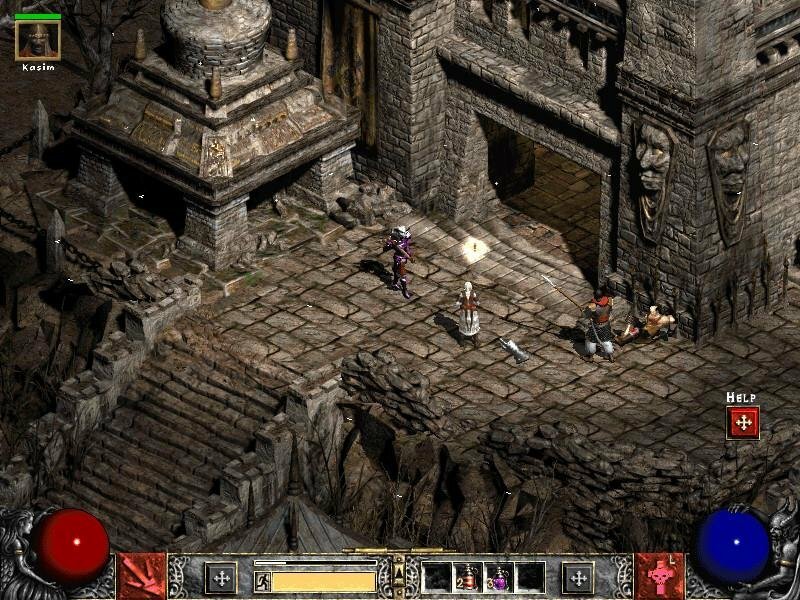 Many people were forced to play the new areas solo, however, and a significant portion of Diablo fans didn’t even bother. The quests aren’t all that original in Act V.
Act V is a cold realm, so expect plenty of ice attacks. 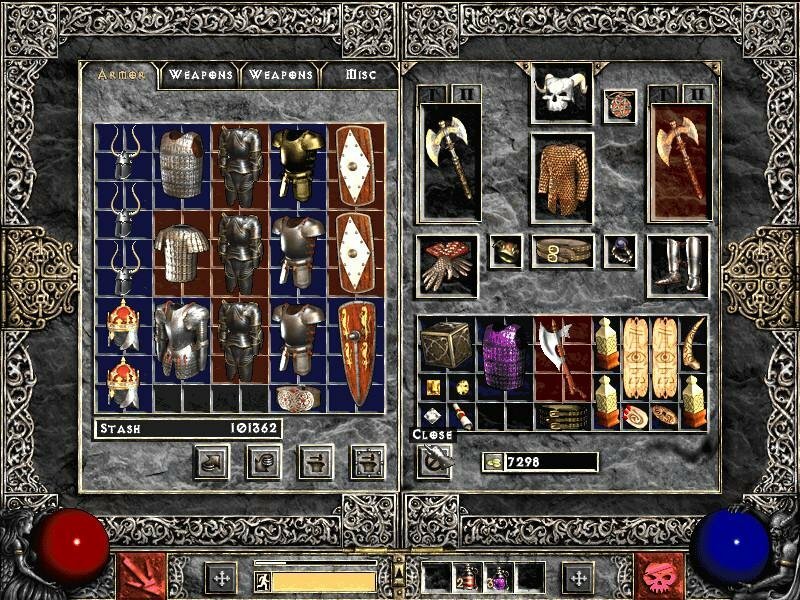 There’s some point in Lord of Destruction where you’re just in awe of all the sheer volume of stuff, from items and skills to innumerable monster classes. This may be, hands down, the most definitive add-on to any game on record. 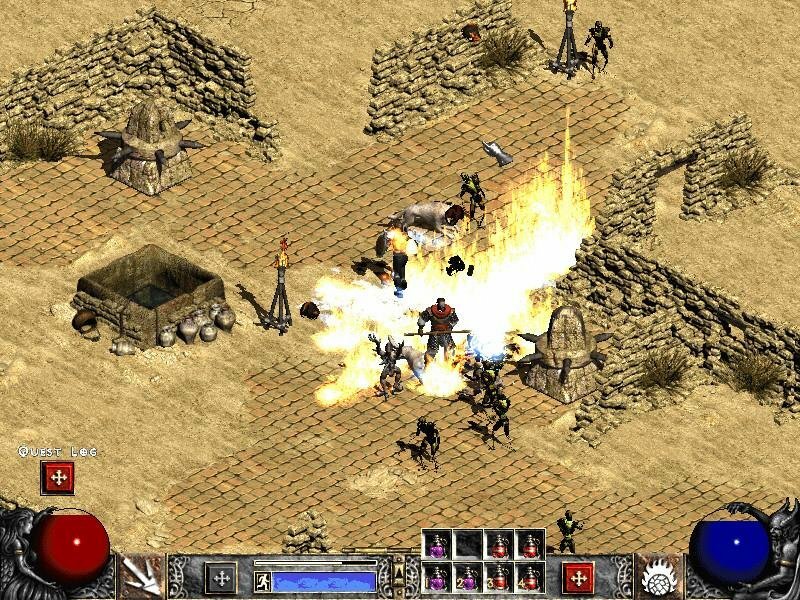 It rivals other products whose expansions actually improved on the quality of the original game – think AoE II: The Conquerors or StarCraft: Brood Wars. How did you ever live without the dual-weapon configuration, allowing a one key stroke switch between them? 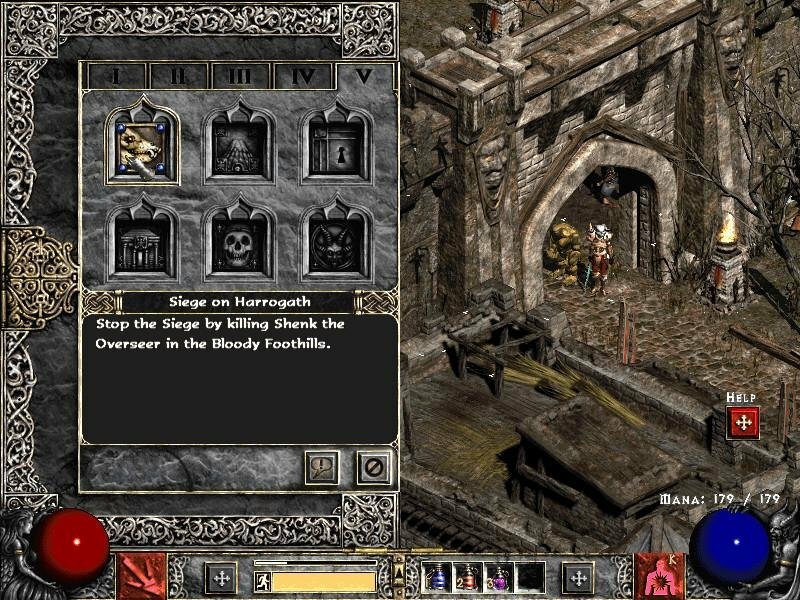 This feature gives your character much more combat versatility, along with sixteen (instead of eight) hotkeys for spells and skills. 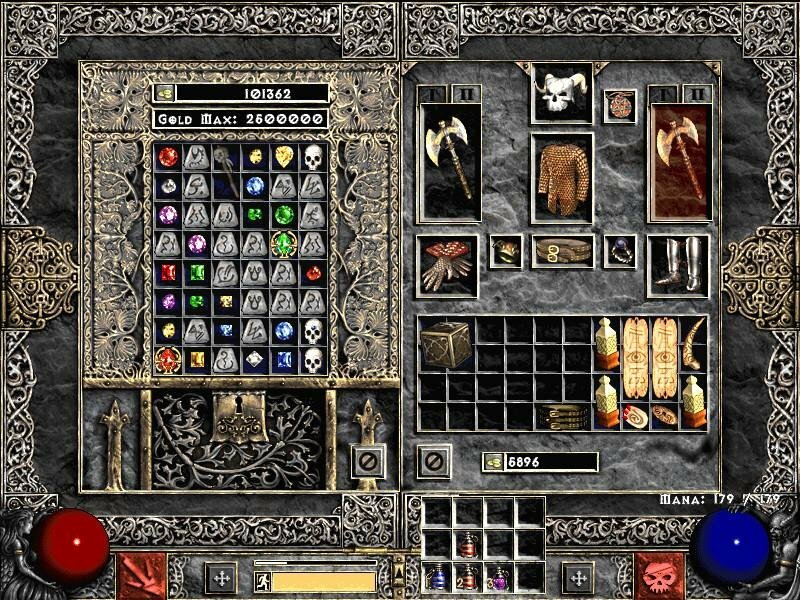 The twice-as-large stash (your item storage chest) is wonderful, giving you a lot more time to decide what you want to keep and what you don’t, which is especially important now, since the thousands of new items—including new charms, jewels and runes—present seemingly never-ending possibilities. It’s only fortunate that now you can equip your hired mercs with some of the items you find – particularly weapons, armor and helms – so even second rate magical gear won’t go to waste. Some seemingly innocuous but certainly annoying activities have disappeared: the tedious buy-a-potion, place-the-potion, buy-a-potion, place-the-potion activity owes its demise to the ctrl-right-click purchase option. The click-repair, click-broken-time-one-at-a-time yawner was replaced a Repair All button. Add to these the new Assassin and Druid character classes (rounding the total number up to seven), and you have one heck of a versatile monster romp. 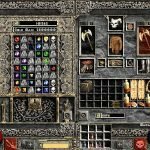 How would I activate/use/play Diablo II? dude can this run battlenet? No. You can only play it on Gameranger for online play. 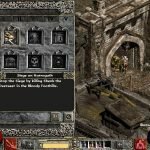 is there a patch i can download or mod that will let me run on Win 10? Dude is this the 1.13c version ? Is it possible to play tcp/ip games with this? You can play it in LAN, sure. 1.8gb? Is this legit? Or download at your own risk? DirectPlay. Extract and run. Play online with Gameranger. 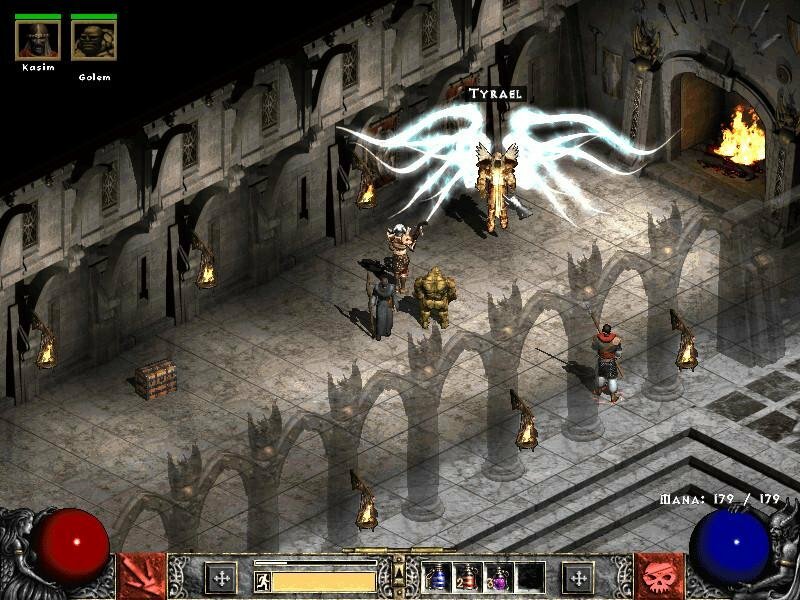 In fact I’m playing it on GR right now with a LVL 12 assassin. Wanna help? Hi! will this work for windows 8.1? Do i need the base game first or does this already include it? 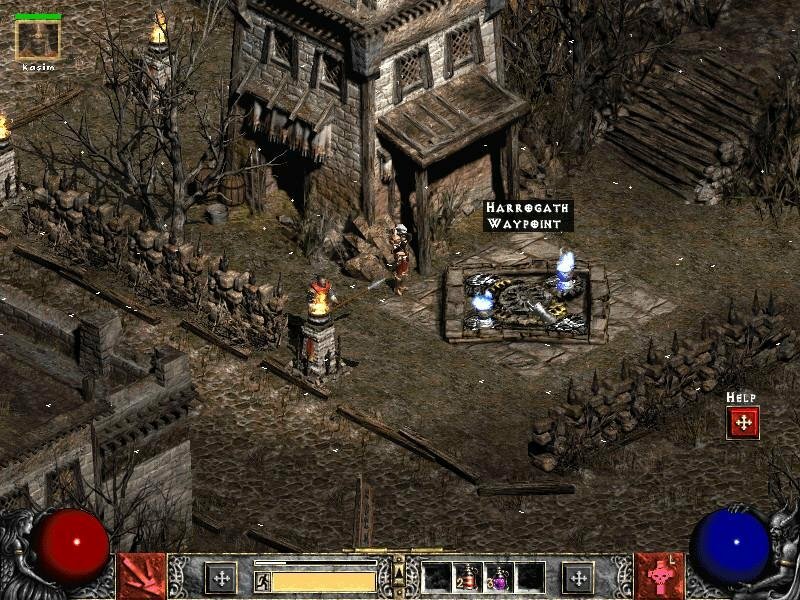 Gameranger keep asking me to place D2LoD cd. Please help. How to install this and where can i find license? 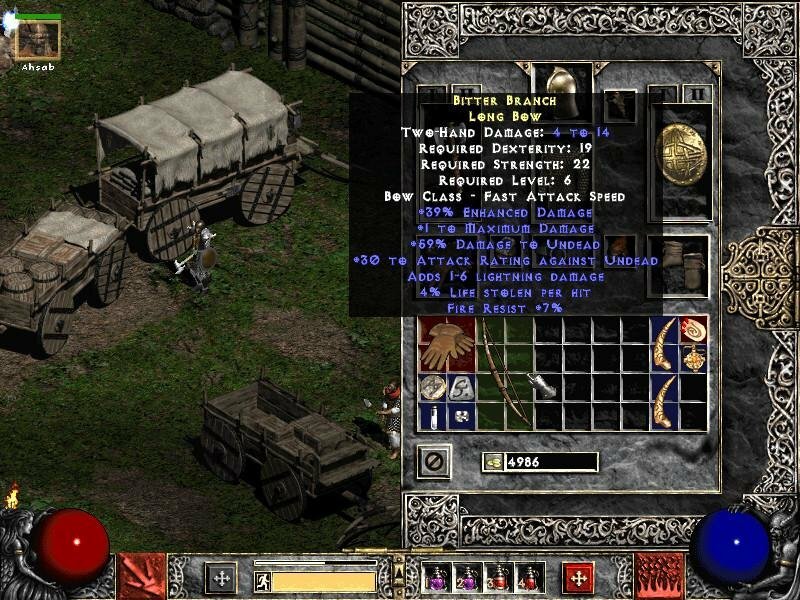 bro, do i need to download other diablo 2 to play this, or will this LOD download alone is enough? Extract and play. does not need original game. the problem is with your computer, not the game. “What is the password?” If you get a RAR file that asks for a password, you have been redirected by FIREDROP to a fake download. NONE of the files on this site asks for a password! I say again – if the file asks for a password, asks you to complete a survey or wants personal info then you have a bad download. Don’t install their crap or give them anything! This is a rare problem but everyone should know about it.